I honestly can’t decide what’s cooler the car or the dude. 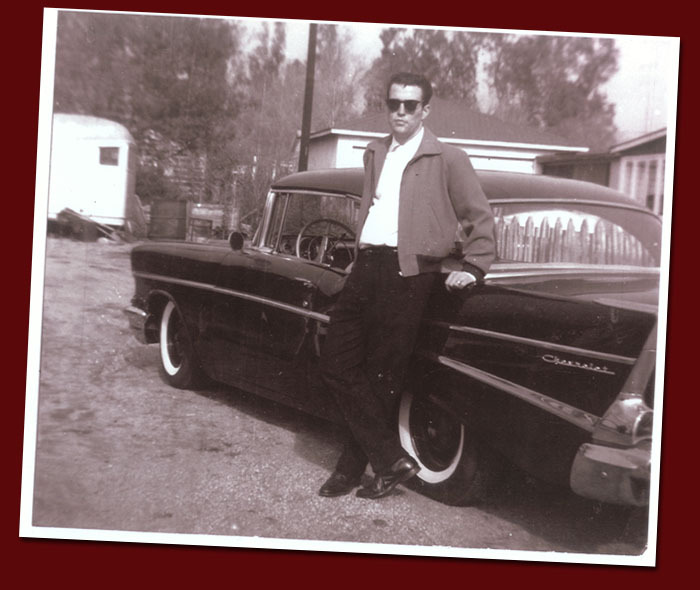 Anyway, it’s Mike Conboy, a ’57 Sacred Heart grad and his ’57 Chevy “Shaker”. I love the absent hubcaps with black rims and white walls.